The equipment of The Division agents – your character(s) – leaves nothing to be desired, because the core of the concept of the Strategic Homeland Division is the fact that the agents are free in their movement and capable to act without the support of a large, logistical support. In this sense, every agent is equipped with a proper standard equipment and additional gear parts, which grant combat-oriented advantages and influence the abilities of your character to a significant extent. While this page only covers the basics, you can find out more about it in our items and loot section. Due to the pandemic it is vital and necessary that your character is perfectly equipped to survive in the streets of New York City. Besides protective equipment like a vest or good footwear, a gas mask is also required to enter contaminated areas and the Dark Zone. All of these gear items can be upgraded and adapted as well. Moreover skills like the ballistic shield are perfect to defend yourself in harsh situations, while carrying a pistol to hold attackers off or deal damage. Your knowledge about the current environment you are in and the position of your enemies is also essential to succeed in dangerous missions and could be a key to victory. Specially designed abilities like the pulse skill are perfect for that use case, because it’s always good to have enough time to prepare and an overall view about the area you are approaching. 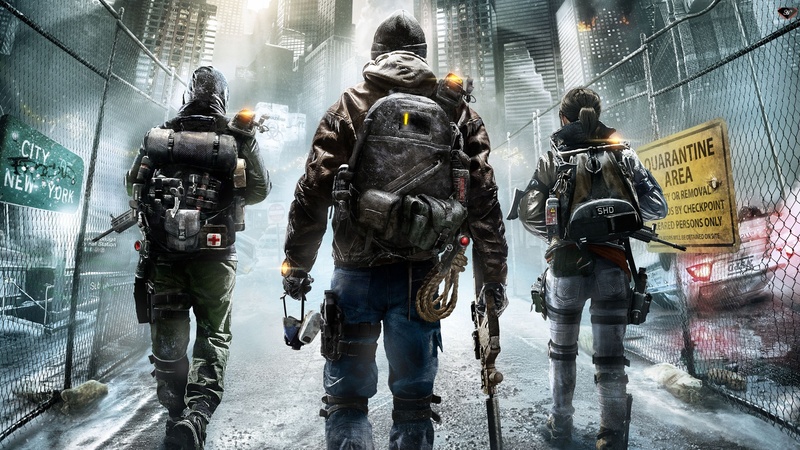 In addition to your primary and secondary weapons, The Division also offers you a palette of equipment based skills, which are one of the most important tools for the agents. They give them plenty of tactical advantage during combat and offensive oriented skills are for example the seeker mine and auto turret (concep below). Learn more about items themselves.